sharks, Australia : The Two-Way Five fatal encounters in less than a year — usually there is one a year off Australia — have raised alarms. Some wonder whether great whites should be culled. A Great White off the coast of South Africa in 2009. There are shark encounters you may laugh at — such as the one we posted about last week. The reactions of a young woman and man when a bull shark steals a fish from the end of her line are wonderful. Then there are the stories that are no laughing matter — such as those coming in recent days from western Australia. A 24-year-old surfer from Perth, Ben Linden, on Saturday became the fifth person killed there in the past 10 months by a shark, as Australia's Herald Sun reports. 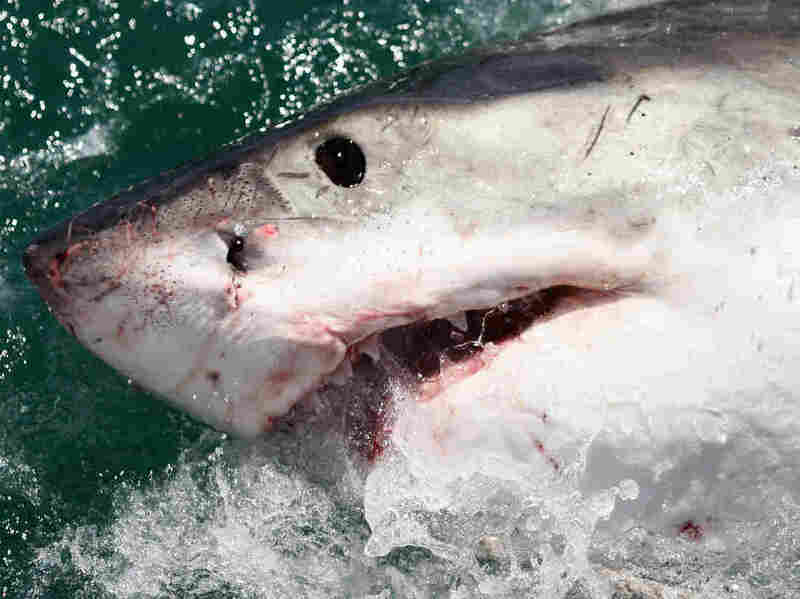 While Australia's western coast is known as one of the most dangerous places in the world when it comes to such encounters, the "average number of shark attacks in Australia is about 15 a year, one is normally fatal," International Business Times reports. So the recent death toll has raised alarms. "A jet-ski rider who tried to retrieve the surfer's body said yesterday it was a 'massive, massive white shark' and 'there was blood everywhere.' The shark tried to knock Matt Holmes, 22, off his jet ski as he attempted to pull the man on to the back of his craft. Then the shark returned to take the lifeless body for a second time." Should the sharks be culled? Note: as we say, that's a question. It's not a scientific survey of public opinion. Discovery Channel's Shark Week, by the way, begins Aug. 12.